OK, so it's the annual WG gamble-atron, and this year WG have decided to make it twice as complicated, but with a little more chance of obtaining premium tanks. But is it right for you, and how much is it going to cost to get what you want. Luckily for you, I had decided to put a little gold aside just to try out the fair and see what it would yield. Now you can buy tickets in batches of 7 for 350 gold (£1.05 or 15p per ticket), 35 for 1750 gold (£5.25 or 15p per ticket) or 175 for 8750 gold (£26.25 or 15p per ticket). You can buy in other quantities, but no matter what you buy the cost of tickets are the same in gold and real money (0.15p in this example). Now you can simply buy a tank outright for tickets at the auction. Right now the IS3 defender is listed at 1452 tickets, which we now know cost 0.15p in real world money that means £217.80 !!!!! Are WG having a laugh here or what, seriously, that is just plain ridiculous, and hiding the real money behind layers of gold and tickets is just designed to confuse all the unwary buyers. If you want a tank in the auction, just know the maths before you buy it, for whatever the token cost is, multiply it by 0.15p to get the real world cash cost of that tank. Next up is chests, and there are two varieties here. A standard chest costs 4 tickets (£0.60) and a Legendary chest costs 7 tickets (£1.05), so what's the difference. Both chests give you supergame progress points (SPP from now on ... more on that in a bit) between 1 and 7, with the legendary chests dropping the larger number but you seem to get a more consistent amount per ticket from the standard chests. Standards chests average around 5 SPP, Legendary always give 7 SPP. << edit >> I originally recommended just using the standard chests for the supergame, but because you get tank points and can recycle them back in to tickets (2 per 500 progress points earned), so typically for every 3.5 chests you buy, you'll get enough tokens back to buy another chest and gain another 7 SPP. On balance, I think the Legendary and Standard chests will balance out close to about the same economically, but you will get larger rewards with the Legendary chests so all in all they may be slightly better value, but not if all you want are SPP. I calculate a standard yield of around 7.3 per legendary crate vs 5 per standard, that means a rate of 1.25 SPP per ticket on Legendary and 1.04 per ticket on Legendary. Lets look at them in more detail. A standard chest (£0.60p) will give you around 5SPP, and any of 15 instant win smaller tier tanks, boosters, gold or tokens. Now I used about 25 standard crates as a sample and never received any tank, mostly boosters, gold and credits. So that was £15 that was wasted other than collecting the SPP for the supregame. WG would argue I got value for that, but I wasn't playing for boosters and credits, I was playing for tanks!! Anyway, I digress....the point is that even in the standard chests you won't get a tank very often as a prize. Now the Legendary chests (£1.05) work exactly the same but with a much smaller list of instant win tanks (4 to be exact), slightly more boosters, credits, gold etc. but on top of those you also get progress points towards higher tier premium vehicles, 10 of them to be exact. How does this work then. OK, more slight of hand from WG here....every Legendary chest you open gives you 500 progress points towards one of these premium tanks. Which one is totally random, so you have no control over which one the points drop for. Again to see how this worked, I dropped the cash and paid out for around 35 or so Legendary crates. I kept going until I managed to complete one tank, which happened to be an IS-2. But at the same time I was filling up the bars on other tanks as well, the T-28 HTC, IS2-SH, Type 59 etc. 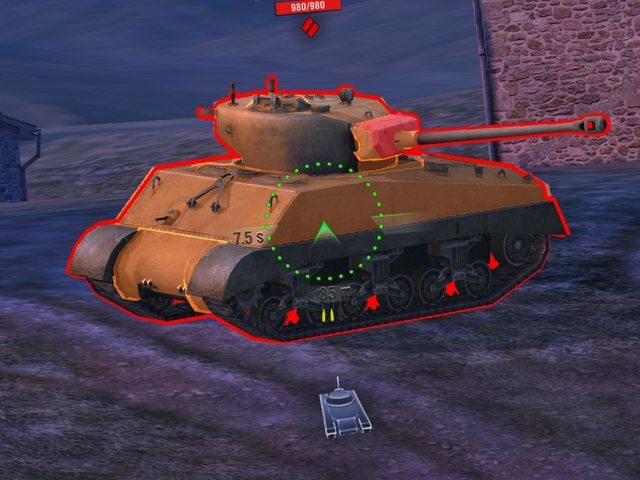 Now each tank has a different target number of points needed. Tier 8s need 5000 points, Tier 7 need 4000 and tier 6 need 3000. Or put another way, if you were lucky enough to pick 10 straight crates in a row that had a Type 59 in it, you'd be getting that tank for about £10.50, but the reality is you don't. The reality is you end up buying 35 crates to get your first tank...£35.75 and then feel compelled to keep going to try and chase the other tanks that are slowly filling up, looking as if they are in reach all the time. This is when spending has the danger of getting out of control. OK, that's rather expensive, and a very unfavourable way of obtaining any of the older premium tanks, but what about this Supergame and how does that figure in. Well as I said earlier you get about 5 SPP per standard crate, and 7 per legendary crate. Now you need 153 points to play the supergame. So that would be ~30 standard crates (30 * 0.60p = £18) or ~22 Legendary crates (22 * £1.05 = £23.10) So you can see that if you are only interested in playing the supergame, buy only the standard crates, it will cost you a hell of a lot more to get there on Legendary crates. So what does playing the Supergame get you.....think of it as a Super Crate.....you get one go to win one of an M60, Chieftain/T95, 30 tickets, 2500 gold or 20,000 or 50,000 spare parts. Or you get progress points towards one of 4 vehicles, the new Type 64, a Chi-Nu Kai, M6A2E1 EXP or an M41 90. Again, I did this so you won't have to, but I had enough points from all the crates I'd bought to test this with to play the supergame 3 times which probably equates to around £65 total spend....and all I got was 50,000 Spare parts and two lots of progress points for the Type 64. Now I could plow more money in to this to see what happens on a few more spins of the supergame, but I'm not that stupid. I'll lay odds that the M60 and Chieftain will only be won in less than 1% of games and that's not good odds with this kind of money being thrown around. Some other things you should know. WG will let you BET on the outcome of opening a legendary chest by spending another 2 tickets (0.30p) for the chance to guess which tank will be in the chest and to double the points earned. Note that doesn't apply in the supergame. So you have a 1 in 10 chance of guessing right and doubling your reward....10%....WG, seriously? They may as well have just put a simulation of a slot machine in the game, the odds are stacked in the houses favour, you will spend ridiculous amounts to achieve tanks that will likely be available through other means at a later date at more affordable rates....and is a new Chieftain, M60 or Type 64 really worth throwing £100, £200 or even more at the game for and still having no guarantee of getting it. I'm willing to bet Sk8 won't be getting his Chieftain now...not at these odds. But, let me know how you get on, some will obviously get lucky, and WG will rely on those stories to urge others on to gamble...don't fall for it, for everyone that does get that shiny new tank, hundreds of others have spent many hundreds of pounds and didn't get it....chances are that will be you. Stay safe, be Gamble Aware.....this is a house game, rigged to get you to part with your money, BUYER BEWARE. I've refined some of the numbers above after experimenting with some more crate purchases, it did drop the average cost of a superticket from Legendary crates a little, but not by much. I have had several supergames now, and this is what I ended up with. Now you can do the maths here yourselves.....if every spin costs between £18 and £22, you're not going to get value for money out of the Supergame....And all I ended up out of all of that spending was a tier 6 premium, 70,000 SP, about 6 million credits and a load of boosters. I saw sk8 get nothing but parts for the LEKPZ M 41 90 on his video, and I am sure everyone is learning from this thread and from the videos online that this is not safe for you to be playing. It is unhealthy, extortionate, profiteering and complete slight of hand from WG. WG claim that because you can get tickets from chests etc, and use free XP then you don't have to spend....well the truth of that is you won't even earn one single go on the supergame from the duration of the 14 day event to try and grab a chance at a chieftain, you will have to buy gold somewhere along the line to achieve this, and once you start....it's a slippery slope. I spent a lot on this, luckily I can afford to, and I was watching every penny as I went along.. I'm not spending a penny more as I've reached what I was willing to spend. I Did this to educate and to protect the community, I hpe everyone takes something useful from this, and expresses their feelings to WG appropriately. Just watched the CC videos on the upcoming equipment changes. First a little about my garage. I have 20k battles played, and I have ALL tech tree tanks tier 6-7-8-9, as well as about half the tier X ones. With the new system, not doing missions, grinding enough spare parts (SP) for equipping a tier X tank will take about 3750 battles. Maybe more, if i lose a lot. The compensation I get for the equipment I have will equal a 10% discount on SP for the new EQP. The compensation I get for my 20k battles will not be enough to outfit my tier X tanks even. To get all my 174 tanks equipped, I will have to play... i dont know... 60k battles to get the spare parts needed? I will also need.. 80 million credits? Not to mention that even if I had enough spare parts and credits to outfit my tanks, Id be subject to 9 layers of cooldowns. So if I didnt want to add gold to the equation, I would have to revisit all my 174 tanks 9 times, with a wait of 1+1+1+3+3+3+X+X+X days between. It would take a month to get through them all, not to mention many many hours of sitting and selecting equipment. So my verdict: Even if just the greater part of this goes live... or if we get anything close to this greedy... I am gone. Period. This is SO far beyond any reason, I would have been shocked and left had they introduced only half of it. Also, if WG should happen to read this, I'll throw in a note about what they will miss out on. I dont know how much money I have spent on this game in total, but I know what I have spent this year. One of the big gold pack, a Warchest, a panther88, a grosstractor, a 5k gold pack. I cant be bothered with the math, but we're talking in the neighbourhood of 100 euros per month. I would not be surprised if my spendings last year were the same. If this goes live, WG will see no more of this. Now this is sad, as prior to learning about this, I had no intention of leaving Blitz. I find it to be a great diversion, and a good game. I even have a Youtube channel with what must now be hundreds of Blitz-videos on it. But I will not accept a system that forces me to drive my tanks as "second class vehicles". Which is what they will be for the next several years, playing the number of battles per day I do now. Its not even close to acceptable. dies ist eine ernste und offizielle Beschwerde. Ich finde es grundsätzlich gut, dass Ihr mit dem Free2Play-Gedanken geringe Einstiegshürden bietet. Dennoch habt ihr ein Spiel mit komplexen Spielmechaniken programmiert, dass auf diese Art seinesgleichen sucht. In den letzten Updates wird für Gelegenheitsspieler, die diese komplexen Spielmechaniken weder kennen noch nutzen, sehr viel Eurerseits getan. Events, die ihnen ermöglichen, schnell im Forschungsbaum nach oben zu klettern beispielsweise. Hier war kein Spieler AFK. Die haben schlicht nicht getroffen/durchschlagen. Ich konnte im Dragon spotten was ich wollte, es nützte nichts. Der Löwe stand in einer Kartenecke und ging als letzter drauf. Ein Spieler mit 31 % globaler Winrate. Das kommt immer häufiger vor und solche Spiele stehen an der Schwelle zu überwiegen. Damit versaut ihr guten Spielern wie mir den Spielspass. Findet ihr nicht, dass es langsam an der Zeit ist, zur Abwechslung auch mal etwas für zahlende Vielspieler zu tun, anstatt für Gelegenheitsspieler? Anregungen dazu gibt es im Forum genug. Ein Spielmodus, der uns von den "Bobs" befreit wäre ein Traum. Ich kann Euch an dieser Stelle nur das Feedback geben, dass meine persönliche Motivation etwas für die Community zu tun, Geld im Spiel auszugeben und letztendlich das Spiel zu spielen rapide abnimmt. Ich spiele inzwischen lieber Hearthstone. Der Frust überwiegt den Spass. Das kann nicht in Eurem Sinne sein. Ich wünsche mir eine ernsthafte Reaktion auf diese Beschwerde. Falls Ihr Informationen habt, wie ihr vielleicht auch an andere Spielergruppen zukünftig denken wollt, bin ich und ein ganzer Haufen anderer Spieler sehr dankbar. Falls nicht, geben ich und ein ganzer Haufen anderer Spieler gern konstruktive Anregungen. So geht es nicht mehr weiter. Überlegt Euch das bitte. Please feel free to hold any discussions regarding the matchmaker in this thread. Any other threads created about the matchmaker will be merged with this one. I've often thought about posting up my blog on the forum directly. I don't usually do that, because I want to be able to say what I want to say, uncensored. However, I think I'll make an exception with this one mostly because I feel I'm hitting the mark here, and several people have told me I should after they read it. But the new premium tanks we see in the game cost more and more, both in gold and in money. Most recently we got a grind mission where, of course, you could (technically) get two tanks for free. Even if you didn’t miss a single mission reset, that was hard enough for one, let alone both. Both were pretty looking tanks with a fancy dragon painted on them, so, for collectors of must-have’s like myself, a definite must have. But, if you didn’t do a single mission, the Glacial, a tier 8 heavy tank similar to the is6 with stronger frontal armour and weaker rest-of-the-tank-armour, would cost you around 15k gold, which is twice the price of an is6, and the Blaze, a tier 7 very lightly armoured tank destroyer, would cost you around 13k gold. So a bit way much overpriced. Aside from that we’ve been getting these absolutely amazing offers in game, like how we can get 6.5 million credits (credits, not gold) for the amazing price of 38 euro. Yes. A thing you can get for free with around 90 battles in the Löwe (for example), you can get for 38 euro. The offer would come up when you’ve grinded enough xp for a tier X, even if you already had enough credits to buy it. Or 200k free xp for 45 euro. Amazing. Of course, the latter is meant for people that have no xp on prem tanks to convert, but still, imo, the price is nuts. Then there’s the crates. We’ve had a few lottery type events now, where you can buy crates with mission-earned tickets, gold or real money, depending on the event. This doesn’t mean you’ll get something epic. It means you have the chance of possibly getting something epic, or you can get absolutely nothing. Chances don’t increase the more crates you open, the chance of getting something awesome starts anew every time you open a crate, so it’s very easy to not get anything worthwhile. A clanmate of mine got about every single premium tank in the crates around New Year’s (Type 59, IS3 Defender, T34 Independence, T34-85 Victory, the Schmalturm, and quite a few more), spending no money on it whatsoever, just tickets he earned, whereas I did spend money, and mission-earned tickets, and the only epic thing I got was a Victory. I have those other tanks (and had the Victory as well at that), so I’m not salty about that, but I don’t think it’s in any way fair that it’s so easy to just get absolutely nada from crates. Especially if you think about the kids that just got some money for Christmas, hope they’re lucky to get a high tier premium tank they could never ever afford to get otherwise, and that end up getting just some very useless things. It just feels like another attempt of WG to take my/our money without giving much of anything in return. But now, WG has thought of another way to make us very poor very quickly. Last update, we got the ability to make our tanks premium. For an x-amount of gold, you can make certain tanks premium for 14 days, or if you really have too much money/gold, you can make them premium forever. Wargaming calls this thing “Vehicle enrichment”. The 14 days "enrichment" is available for tiers V-X and costs 2,200 gold for tier V, 2,600 for tier VI, 3,000 for tier VII, 3,200 for tier VIII, 3,400 for tier IX and a whole 4k for tier X. Just to compare, you can also convert 4,000 gold to 1,600,000 credits without having to drive a single battle. Considering that most tier X tanks will just lose less money with this ‘enrichment’ rather than earn you loads, converting might just be the better way to go. Now the other possibility with this “enrichment” is turning a tank into a premium tank – earnings wise at least – forever. This will, of course, cost you more gold, and the tank you enrich can still be nerfed or “rebalanced” in the future because it’s not really a premium tank. For some tanks, I thought that might be interesting – like the E5 or the STB, especially since they’re both very costly to drive since we got the new profitability last year, and they’re both tanks that I enjoy driving loads. But this feature isn’t available for all tanks, only for specific tanks. And it costs about an arm and a leg, and a kidney to boot. There’s a list in the news of which tank costs what – it differs per tier and per tank – but as an example I’ll name the STA-1 (tier VIII Japanese med) because it has a nice round number. The price to “enrich” this tank forever is 20k gold. That’s the same amount of gold you need to buy 2.666667 IS-6 tanks. Buying the gold in order to do this will cost you 70 euro. I’m pretty sure all players left and right are swooning with this excellent effort of WG to woe us into loving them even more. Who wouldn’t pay 70 euro to have a normal tank that can still be nerfed earn more credits? Absolute steal, that. Only problem is that the only thing it actually enriches is Wargaming itself. With premium account you know that any amount of xp and credits you get is “enriched” (I’m so going to use that word a lot with regards to this game now) by factor 1.5. For the STA-1, you’d earn 67% more credits per battle with the enrichment. It differs per tank how much of an increase they actually see. The Chi-Nu for instance only sees 27% more credits, whereas the SU-100M1 gets 90% more credits. So, depending on the tank you ‘enrich’ and if you have premium time too, that would be a pretty credit-penny. The fact that every tank has its own price to “enrich”, and it’s own “enrichment” percentage, it just doesn’t seem fair to me. Premium time doesn’t cost or earn more or less per tank either. All the same, I don’t think many people with a brain will be using this utterly amazing offer. Me, myself, I’d much rather take a prem-tank of my choice out for a few extra spins to earn the extra credits, rather than spend that much money on a tank that can still be nerfed every which way. I can fully understand that Wargaming does their best to get us to spend more money on the game – they’re a company after all, profit is what they’re about. But fact is that with making things more and more expensive, all they’re currently doing is making people more and more reluctant to actually spend money on the game, upto the point that it becomes a full out aversion to spending money on the game, or even to the game itself. People feel cheated, ripped off, etc. And I can fully understand that a whole lot better than Wargaming’s greed. Between the grind missions being all but impossible, the tanks becoming more expensive as they get to the store, and the ridiculous “enrichment”, even I’m getting to the point where I just don’t want to spend any money on the game anymore and I’ve been a VIP member of the Gold Noob Association for well over two years now. This trend of making things impossible and impossibly expensive started, for me, with the new profitability last year, and it’s still going. And I wonder how long it will take for Wargaming to realise that this is ruining their active community, and is driving people away rather than drawing them back into the game. I’ve seen quite a few people leave the game the last couple of months because of this greedy attitude, and the lack of respect Wargaming seems to have for its players. Or worse – they could have already fully realised that it’s ruining their active community and decided not to give a * about it, as there will always be the new players and noobs that will still spend money on this game regardless of what the heart of the community thinks and feels. I don’t want to believe that last bit, but it wouldn’t be the first time that Wargaming can call up numbers that support something that every player that is an actual part of the community and not just the game itself is against. But if these sorts of actions continue and no positive change comes, the future of Blitz the game might not be all too different, but the future of Blitz the community looks very bleak indeed. nach einigen Versuchen auch über den Kundendienst, hätte ich den Vorschlag eine Richtlinie für Modifikationen EU weit einzurichten. Der Kundendienst hat mich hierfür extra hierhin verwiesen. Es wurde mir bereits mitgeteilt das alle Regionen unabhängig voneinander arbeiten. Aber dieses Thema ist meines Erachtens sehr wichtig. Hintergrund: Modifikationen die die Texturen der Fahrzeuge so verändern das man sieht wo welches Besatzungsmitglied sitzt und/oder wo sich Module befinden (Module Hit Skin Mod). Solche Modifikationen sollten vollkommen verboten werden. Auch wenn es sich schlecht nachprüfen lässt ob jemand sowas nutzt, wäre eine Richtlinie hierzu durchaus angebracht. Es verschafft den Nutzern solcher Modifikationen einen unfairen Vorteil gegenüber anderen. Zumal es den Nutzern sowieso schon leicht gemacht wird, dadurch das wir eine Durchschlagsanzeige haben. #553568 One for Edurace! Rest in Peace. despite the most of AFK/IRMA getting misty eyed just talking about EDURACE, we have managed to collect ourselves enough to make a tribute video to him, with TOGs. His usual tank of preference for late night toons. #550974 One for Edurace! Rest in Peace. Remembering him the way ı remember him. Following another terrible losing streak on Blitz, I thought it was time to try something new. I've got to be honest, I was feeling Lowe. So on my night off from Tanking, I decided to get a life. There was nothing on TV except X Men featuring Wolverine or a David Attenborough documentary on the demise of the Tigers and Panthers (Leopards seem to be doing ok though). I decided to go out so I made plans to go to Blitz Bar in the centre of Town. None of my friends wanted to go to Town and I have heard going to Town on your own was a bad idea, but my mind was made up. I got my best TOGs on and put my headphones on to listen to some music to get me in the mood, it was Franz Ferdinand. I took the shortcut and went along the Canal. As soon as I walked in the bar I spotted a girl, she looked like an Oasis and my Palms became sweaty. Her top stats didn't look impressive at 38, but she looked like a Hellcat and was dressed in purple so I figured she could be up for a re roll. I went UP UP UP and started to talk to her. I told her I had a T44 which was over 60%, she thought it was a cocktail and asked for two of them. being low on credit I decided to go for something cheaper, so we ended up on Port. I wanted to moan about the price but I couldn't Object, 140. She said her name was Hayley and she had a Comet. She also had a pet tortoise, a dog called Churchill, a cat who's name I forgot but it was a Pershing and she was into camping. She moved really quickly and said maybe we should find a suitable bush and go camping together. When I came round I was wrecked, it was game over and I made my way back to my garage. Don't go to Town on your own!!!! da ich möchte, dass das von offizieller Stelle gelesen wird, poste ich das hier. Ich denke, ich darf heute Mal im Namen der Community einen Text formulieren, den ich aus den Meinungen hier und in der Fanzone so wahrgenommen habe. Ein Feedback zum Geschenkpanzer M60 und der dahinterliegenden Marketing-Aktion. Zunächst von meiner persönlichen Seite vielen Dank. Ich habe ihn auch bekommen. Ganz allgemein ist es eine gute Sache, langjährigen und treuen Spielern ein Geschenk zukommen zu lassen, das ihren Einsatz im und für das Spiel in verschiedenster Art honoriert. Darunter fallen lange Treue zum Spiel an sich, Echtgeldeinsatz oder auch konstruktive Beitrag in Communities oder aktivem Clanleben. Dass diese Spieler von Euch, Wargaming, einmal persönlich ein Dankeschön erhalten ist eine ganz tolle Sache und somit ist so ein Aktion an sich ein ganz dolles Dankeschön an Euch wert. Eigentlich, denn die Durchführung sorgt leider in den Communities für mehr Frust als Dank. Grund: Es ist nicht transparent was die Marketing-Abteilung von Wargaming unter dem Begriff "Treue" versteht. Es erhalten den Panzer sowohl Spieler die die allgemeine Definition von "Treue" erfüllen (siehe oben) als auch Spieler, die diesen Begriff nicht erfüllen. Z. B. Spieler mit sehr wenig Gefechten. Gleichermaßen erhalten Spieler die den obigen klassischen Treubegriff erfüllen eben gerade keinen M60. Und diese Spieler sehen dann auch die Spieler, die einen bekommen haben und den genannten Begriff der "Treue" anhand des Spielerprofils nicht erfüllen. Das macht diese Spieler - in meinen Augen zu Recht - wütend, traurig und erzeugt ein Gefühl, von Wargaming einen Tritt in den Hintern bekommen zu haben. Was vielleicht nur fehlt ist die Transparenz, nach welchen Kriterien dieses Geschenk verteilt wurde. Denn ich denke, niemand der die Kriterien versteht hat ein Problem damit, einfach Pech zu haben, wenn er selbst nicht die Kriterien erfüllt. So wie das aber jetzt gelaufen ist, ist aufgrund der Intransparenz und Nichtkommunikation seitens Wargaming der Frust um eine eigentlich gute Sache größer als die Freude der Beschenkten darüber. Und das finde ich sehr schade. 1. diese Kritik hier konstruktiv auffassen und ernst nehmen. 3. die Kriterien anpassen und die Spieler die den klassischen Begriff von Treue ebenfalls erfüllen auch beschenken. Natürlich kann es auch sein, dass Euch einfach ein Fehler unterlaufen ist. Kein Problem, kennen wir schon. Gute Kommunikation und eine Korrektur hilft in dem Fall. Ich habe die Befürchtung, dass die Spieler, die Euch bisher treu waren und zum großen Teil auch viel Geld ausgegeben haben, Euch aus Enttäuschung den Rücken kehren werden. Was nur zu verständlich wäre. Daher ein Denkanstoß an Euch von meiner Seite. Schöne Weihnachten an Euch und an die Community. #501887 Merry Christmas from the VG gang! Seriously, this game is bloody fantastic, polished, massive fun, great community (apart from those VG gold noobs) hugely popular and gets plenty of attention from the devs. We get loads of free tanks and promotions and you can pay your hard earned to get some gucci tanks when you want too.....want to just play and grind away for zero expense? No major problem.....just takes a bit longer. Free defender....free Tankenstein.....free Anko.....now free Tiger....can't wait to get that one in my garage. How many games give you superb free stuff like that? Yes I know it needed grinding, but so what? In the midst of all this negativity, I know there are some minor issues, but it is an amazing product and I'd just like to say thanks for making this superb game and for yet more free tanks. #719888 Blitz Economics - SP - Stop using SP NOW and read this! OK, so by now we've all read about how SP is being retired (along with the beloved timers), but there are lots of little intricate details you need to know, and we need to answer the question, should you spend your existing SP now, or convert it after 5.0 releases. Let's start with the new slot credit cost table published by WG today that will apply from version 5. If you are in a clan with an appropriate supply level, you will save 5% off of those costs, so you will actually only end up paying as follows. Now, on retiring SP, WG will convert the existing SP based on a number of offers, or if you do nothing, then they will auto convert in a future release at the rate of 12 credits per SP. So what have they said, and what does it mean. To start with, boosters. WG have announced they will retire the SP boosters, which if you have no SP you don't need boosters. Fair enough....so what are they worth. A standard SP booster (silver) will convert to 80 SP, a rare SP booster (blue) will convert to 200 SP and a special SP booster (purple) will convert to 280 SP. So I'll use my own account details here to demonstrate the math and let you work out your own compensation. So that's a healthy amount of SP, and probably a lot more than the boosters would probably have yielded if used, so that's pretty decent. Now I still have 319,165 boosters on my account, giving me a v5.0 converted total of 550,085 SP to convert. But is that the best thing to do, should we wait for v5.0 and then convert the SP, or should we use them all up now. Let's first look at what we can spend the SP on because we can't use them on the actual equipment anymore. So what does that mean? Well, the best conversion in terms of value is to go to credits. DO NOT CONVERT TO GOLD....that is a horrible conversion rate of 1000 SP for each gold coin. Don't do it! Converting to premium time, who buys premium time any more with the certificates now dropping in crates all the time, which still leaves credits as the obvious choice again...so that looks like a no-brainer. Note that converting SP to credits in these bundles gives no added value to the auto conversion later, basically, 1 SP will convert to 12 credits no matter how many you have. So again, using my account, I have after the booster conversion, 550,085 SP, converted to credits will give 6,601,020 credits. Now to the crux of the question, if I spend my SP now on equipment, will I get more value for money than waiting and using the credits later, and does that change significantly with the supply level of my clan. So let's explain what we are seeing here. To start with, the credit cost for tier 1 equipment is not changing at all. But now taking tier 1 tanks as an example we can see a huge change in the relative costs of equipment. Previously a level 2 on a tier 1 would require 10,900 SP to unlock. And if SP is valued at 12 credits, that would equate to 130,800 credits. But in version 5.0 it will now only cost you 2200 credits. That's massive, but what does that mean......? It means that if you are currently researching any equipment on tier 1 tanks....stop it right now...cancel it. Let the version 5 release come out, convert that SP to credits, then buy the equipment as you will save 128,600 credits in real terms on a level 2 slot. This pattern is the same, but getting smaller all the way up until tier X where a level 3 slot will actually cost slightly more in credits than it does today (8,800 more). As I said before, I have 319,165 SP in my account, let's say I spent that all on tier 8 level 3 equipment slots. That would get me 13.4 slots. But when that SP turns to credits (x12) giving me 3,829,980 credits, I would then be able to buy 15.3 slots. At lower tiers, the savings are even bigger. What about if your clan get's the 5% supply bonus, well you still get the x12 credits so you end up with even more credits and a lower equipment cost Today I could get 14.11 slots and after version 5 I would get 6.12 slots. Now the only exception to this is going to be level 3 tier X slots where you would be better off spending the SP now because the cost will go up very slightly. Using my account again, I could get 9.79 slots today, and 9.75 after conversion. But bear in mind all of the boosters that will also get converted as well, so you will get a huge credit windfall to help spend on the slots as well. So it's very simple, stop using SP right now, except for tier X level 3 slots, wait for the update and then enjoy the savings. #392569 Ich verliere immer! Bitte um Hilfe! zu wenig Schaden machen im Gefecht bzw. zu früh abgeschossen werden. immer die ersten sind, die sterben. immer die letzten sind, die sterben. nicht verstehen, warum die Mitspieler so schlecht sind. nicht verstehen, warum der eigene Panzer gerade so schlecht ist und was man da machen kann. und noch einiges mehr, warum sie nicht weiterwissen. haben entweder keine Ahnung warum das so ist, wie es ist und suchen Hilfe. sind überzeugt, der eigene Panzer ist schlecht und suchen Hilfe. sind überzeugt, dass schlechte Mitspieler daran Schuld sind, dass sie nicht gewinnen. Falls Du Dich, lieber Leser, hier wiederfindest, dann lies bitte weiter, denn jetzt folgen die Inhalte, die viele Community-Mitglieder schon gar nicht mehr unter solche Posts schreiben, weil es immer dasselbe ist. Falls Du Dich, lieber Leser, hier nicht wiederfindest, weil Du meinst, Du kannst das, dann prüf gern mal Deine Statistiken bei http://www.blitzstars.com. Wenn Du da viel Gelb, Orange, Rot oder schwarz siehst, dann ist es leider so, dass Du es nicht kannst. Das bedeutet, dass Du unterdurchschnittlich spielst. Dann bitte hier weiterleisen. Bist Du mindestens hellgrün, dunkelgrün, blau, lila oder dunkellila, dann bist Du besser als die meisten. Wenn Du magst, lies weiter. Vielleicht findest Du noch einige Details die Du noch nicht kanntest. Der erste Denkfehler, den ich seinerzeit auch gemacht habe ist, dass dadurch das es ein Teamspiel ist und man sechs weitere Mitspieler hat, es nicht an einem selbst liegt, sondern an den anderen. Irrtum. Es liegt an einem selbst. Denn nur, wenn man weiß wie die Spielmechaniken funktionieren, das umsetzen kann und dann das Maximum aus sich herausholt, dessen man fähig ist, kann man mit Fug und Recht behaupten, dass die anderen Schuld sind. Und wenn man das tut - oh Wunder - dann gewinnt man die meisten Spiele, nämlich mehr als die Hälfte, auch. Falls Du also Tipps haben möchtest, wie Du, Du allein, in die Lage versetzt wirst, ganze Spiele zu entscheiden, dann lies weiter. Falls Dir das Lesen schon zu anstrengend ist, geschweige denn das Umsetzen und üben, dann lies bitte nicht weiter und verschone die Community mit Deinen Posts. Vielleicht bist Du, lieber Hilfesuchender, ja jetzt auch wie auch die Community der Meinung, dass in diesem Spiel mehr steckt als auf Moorhühner zu schießen. Ich kann Dir versichern, dass - wenn man auch nur einige der oben gezeigten Dinge beherrscht - es auch sehr viel mehr Spaß macht, als stumpf vorbeiflatterndes Federvieh abzuknallen. Und obwohl das jetzt viel aussieht, kommen die ersten Erfolge sehr schnell. Ach ja: Leutchen, die sich verbessern wollen in einigen dieser Punkte, es alleine aber nicht schaffen, da hilft die Community übrigens gern. Und zwar hier http://wotbfanzone.eu/forum/board/23-zugpartner-suche/ und hier http://forum.wotblitz.eu/index.php?/forum/487-clan-zugsuche/. Vielleicht schließt Du Dich ja auch einem Clan an, der darauf Wert legt, dass seine Mitglieder etwas von anderen lernen können. Gut geht Hilfe von anderen auch in Übungsräumen und es sind viele aus der Community bereit, Dich zu unterstützen, wenn Du die obigen Grundlagen gelesen/gesehen hast und das jetzt üben möchtest. Zu guter Letzt, lieber Hilfesuchender. Du hast gesehen, dass viel in dem Spiel steckt und es leider nicht per Fingerschnipp getan ist, dass Du von jetzt auf gleich ein guter Spieler wirst. Da kann ich dir versichern, dass auch das stetige besser Werden sehr viel Spaß macht. Falls Dir das dennoch zu umständlich ist und Du das nicht möchtest, dann... tja... dann bitte geh ganz schnell wieder und frage hier niemanden. Denn Du wirst immer obenstehende Antworten bekommen. Habt Spaß weiterhin, Hilfesuchender wie auch die alten Hasen hier. Remember the good old days when IS-3 Defender was the main topic of rage amongst the Blitz community? Yea - the good old days. I think the main reason everybody is so “outspoken” about this update is due to the fact that we have been “poked” and “laughed at” for the past year and we have reached the boiling point. Update 3.8 was the final nail in the coffin. 1.First you messed up most of the maps. Dead Rail – everybody loved the old map, nobody was complaining about it you had to go ahead and change it. Vineyards – due to this dusk/dawn theme you have going on there, it is impossible to see anything on the screen in the sunny apartment or outside. You may call it “unique feature”, but then also make it unique on the map roster showing up only in the evenings and the town is a completely useless “bot trap”. Copperfield – this is really a jewel. Whoever thought it’s a great idea to introduce this map to high tier play should get kicked in the head. Again, nobody asked for this. And not only you have included it in the game but you have made it nearly impossible to avoid it. The amount of EXP you get from these battles outweighs the amount you can gather from a regular game. Meaning pushing up EXP required for mastery games to not so easily attainable level even having a great game in regular mode. The tournaments are only played in supremacy. And why would you persist of giving players supremacy missions when they have it switched off? Really? Just switch it off? The worst decision ever made. And you thought censoring word SP1C was bad. WOW, just WOW. Why would anyone do that, even with a recent 50% discount. On top of all that the tanks that could be worth it, isn’t on the list. I probably missed something but I think I brought my point of view across. This list of constant fails has had everybody fuming for awhile now. And it has happened, the boiling point. I didn't proofread, I have hangover and it's 6 A.M.
What is it, I can't see? "Santa, its the light bulb"
"OMG we have been hit"
"My God its Von Kie!" And wait til he drives by"
Surely this must be a dream? it was with a heavy heart that I watched you latest episode of Tall Talk last night. The subtitle "Ruckus Out" already gave an indication to what was about to happen. What's to come might sound a bit like a love letter, and it probably is one, but in a totally manly, grown-men-playing-tanks kind of way. To get one thing out of the way: this is just a "bloody tank game", to quote the wife. It is not the be all and end all. It is a fun past-time we are enjoying when not working or doing anything in real life. But it is also what could be considered an e-sport and as with every sport, the community matters. You make friends, you make enemies. Some people are just tagging along and some are actively making their voice heard. They advocate the sport, educate and entertain. For this game these people are now known as Community Contributors. Without them, this game would be just another product of a company looking to make a buck. You are the gluons holding it all together. For most of you, it is something you do besides real life and playing. Making a living out of it is hard work. And still many of you invest insane amounts of time to produce top-notch content that can take on any professionally produced promo reel. We, as players, don't pay for it. We are entertained and educated, for free. The least we can do is say thanks. And I feel that there is nowhere nearly enough of that going on. Now some of that might be down to laziness. For me it is that I don't like Youtube et al knowing what I like. They know what I watch and can extrapolate from that, but I don't want them to know. Because big data and reasons. So in a nutshell, I feel like I have failed you personally and the CCs in general. Because likes and appreciation is the only currency you're getting besides the occasional perk from WG. But this isn't about CCs in general, it is about you. When I started playing this game, I was terrible. I drove German mediums and in retrospective I would like to apologize to each and every one of you who had to endure me. But while I was merrily going flank on Mines in my E75 (yes, that happened), someone suggested I should watch videos about WoTB on Youtube. And so I did. I came across a fellow from Perth. And he taught me everything. I learned about angling, side scraping, going hull down. Because this guy was not only an exceptionally good player. There are many of those. He was also a teacher. He put his thoughts into action and through his words he educated. I had my personal "Yoda and Luke" moment. But he was not only a scholar. He was also very sociable. He had his mates and there was much banter. The fellow from Sydney, the mad Russian. It wasn't like these guys from Oz and Asia were only playing a game together. You felt like you knew these guys. They sounded like mates playing a game and then going down to the pub to knock back a few cold ones. It was something to aspire to. Today I am a proud member of AFK, a group of chaps who are not only great players, but first and foremost great humans. I imagine that I will one day have a beer with more than one of them. But he was not only a great player, scholar and socialite. He was ahead of the game. Supremacy was something WG only started to implement recently. It was a great way to bring the community together and I believe many initiatives today have their roots in this mode. But being ahead of the game most of all pertains to the quality of content he churned out. There is no other way of saying this: it was spectacular. The attention to detail, the heart and soul poured into the videos became most apparent in the cringeworthy trailer for the new fantasy tanks. What this guy did in his leisure time was just so much better than what professionals being paid good money were able to produce. Many great artists are not recognized and valued the way it befits them while they are still active. While I have always held you in the highest esteem, I never took the opportunity to voice this clearly. Yes, I dedicated my first mastery in the Obj. 140 to you and Bushka, but I have never publicly sung songs of praise. Until now that you have left the stage. I recently repaired my stats far enough to be considered a Unicum according to WN8. As a treat I bought myself a TOG II*. In reference to my IGN, I christened her the "HMS Love Togtor" under the provision that she shall be renamed to a more fitting name in the future. Now I have found one. From now on, she shall be named "HMS Ruckus". I imagine her and her fellow TOGs doing a missing man formation for you. Because you will be missed. Überlegt euch, welche Panzer ihr später einmal spielen wollt, und konzentriert euch auf diese Linie(n)! Der Punkt ist nämlich, sofern ihr kein Geld investieren wollt, Credits sind anfangs eher Mangelware, d.h. euch wird irgendwann das Silber ausgehen, um die hochstufigen Panzer direkt nach dem Freispielen zu kaufen. So ab Tier 5/6 kommt der Aufstieg somit erstmal zum Stehen, v.a., wenn ihr mehrere Linien gleichzeitig beackern wolltet. Mein Ziel sind/waren bspw. zu Beginn T20, IS sowie die ISU-152. Dazu hab ich aus Spaß auch noch die amerikanische TD-Linie begonnen. Nun besitze ich also jede Menge 5er, aber keine Kohle für alle freigespielten 6er. Ergo: man muss sich irgendwann entscheiden, wo man weitermachen möchte. Mehr als 2-3 Linien gleichzeitig würde ich nicht empfehlen, schon gar nicht, wenn ihr komplett neu bei WoT seid und die Panzer noch gar nicht kennt! Sterbt euch nicht hoch! Je höher ihr kommt, desto schwerer wird es, nicht umgekehrt! Tier X-Panzer sind KEINE Alternative für Erfahrung im Umgang mit den Tanks, die verzeien noch weniger Fehler! Wer mit Panzern in WoT am PC bereits Bekanntschaft gemacht hat, kennt zum einen bereits die Eigenarten der jeweiligen Vehikel, und weiß zum anderen, dass es "oben" nicht unbedingt leichter wird. Als Neuling sollte man sich tunlichst erstmal eine ganze Weile im Bereich 2-4, maximal 5, aufhalten, wobei letzterer schon eher für Fortgeschrittene ist, da dort Taktiken wie Anwinkeln und Schwachstellen anvisieren so langsam wichtig werden. In Tier 6 oder höher ist man als Neuling Fischfutter! Nur so eine Anekdote am Rande: gestern stand ich mit meinem KV-1S(Stock) einem Tiger I gegenüber, der trotz seines 7er Tanks nicht wusste, was er mit dem anstellen kann. Ich konnte den gemütlich runterschießen, am Schluss ging er mit 0 (!!!) ausgeteiltem Schaden und 15 XP aus dem Match! Das Profil des Spielers zeigte anschließend das ganze Dilemma - hochgestorben, immer weiter, kaum Abschüsse und Schaden - sowas kann einfach keinen Spaß machen. Und besser wird es weiter oben von selbst auch nicht, daher mein dringender Rat an alle WoT-Neulinge: LERNT DIE SPIELMECHANIK IM LOWTIER-BEREICH KENNEN! Für WoT-Umsteiger: die Panzer und v.a. ihre Bewaffnung sind nicht 1:1 übernommen, daher nicht 100% identisch! Das war für mich anfangs etwas überraschend, da bestimmte Taktiken durch die kleinen Änderungen schlicht nicht mehr funktionierten. Damit die Panzer eben (i.d.R.) KEINE Oneshots sind, haben sie z.T. deutlich mehr HP als in der PC-Version. Und auch etliche Guns machen mehr Schaden als im Original, bspw. beim T-28 oder M3 Lee. Letzterer ist dadurch auf Tier 4 ein richtig gefährliches Fahrzeug geworden, der sogar Tier 5-Panzern gut (und viel) einschenken kann. Auf den gewohnten T18-Rush muss man allerdings verzichten, da durch die erhöhten HP in Tier 2+3 schlicht kein (intaktes) Fahrzeug mehr mit einem Schuss zerlegt werden kann, sofern man nicht direkt ins Mun-Lager trifft. Siegbedingungen: Basis erobern oder alle Gegner töten! Für Neulinge dieser Hinweis, man gewinnt entweder durch Einnahme der Basis in der Mitte der Map, oder eben, in dem man alle Gegner erledigt. Allerdings bringt ein Sieg, bei dem die Feinde NICHT überleben, DEUTLICH mehr XP und Credits, und zwar auch für das gesamte Team! Basecap sollte man daher auch nur dann ins Auge fassen, wenn man selbst am Verlieren scheint, es bringt sonst einfach viel zu wenig Gewinn. Allerdings ist es, v.a. auch für sehr langsame Fahrzeuge, wichtig, die Basis im Auge zu behalten und nicht zu weit wegzufahren, damit man im Zweifel schnell zurück fahren kann, um die Gegner dort wieder rauszuschießen. Erst beim Stand von 90% den Weg zur Base einzuschlagen, dürfte in den meisten Fällen zu spät sein. Daher nach Möglichkeit nicht zu weit weglocken lassen! Achtet beim Schießen auf die Durchschlagsanzeige (Färbung der Panzerung)! Als riesiges Plus für Neulinge im Vergleich zum PC-WoT empfinde ich die integrierte Durchschlagsanzeige in Form der Rotfärbung der gegnerischen Fahrzeuge. Je niedriger eure Wahrscheinlichkeit ist, ein Fahrzeug mit eurer aktuellen Waffe/Munition zu durchschlagen, desto mehr färbt sich die Panzerung des Ziels rot. Seht ihr nur das Panzer-grau, könnt ihr zu 99% sicher sein, einen Treffer zu landen. Schießt ihr dagegen auf einen roten Bereich, kann es passieren, dass euer Schuss einfach verpufft und gar kein Schaden angerichtet wird. Wenn ihr so einem Gegner frontal gegenüber steht, spart euch entweder den Schuss, oder aber wechselt den Munitionstyp auf Premiummunition (APCR/HEAT) bzw. Hoch-Explosive (HE). Letztere hat zwar noch schlechtere Durchschlagswerte als die panzerbrechende (AP), explodiert dafür aber auf der Oberfläche und macht dadurch fast immer (ein wenig) Schaden, was eben oft besser als gar nichts ist! Allerdings sollte das Schießen mit HE nur die Ausnahme sein, wenn gar nichts anderes geht, oder ihr mit einer Haubitze unterwegs seid (dazu später mehr)! Mein Rat daher: nehmt zur Sicherheit für den Notfall 2-3 Schuss Premiummunition mit (kann man auch für Credits statt Gold kaufen!). In WoT-Blitz hat man ja keine neue Ladezeit beim Munitionswechsel, daher nutzt das ruhig aus! Das kleine Lämpchen, welches erscheint, wenn ein Gegner euch entdeckt hat, sollte immer eine Warnung sein, nicht einfach gedankenlos weiterzufahren oder, noch schlimmer, einfach an Ort und Stelle stehen zu bleiben. Wenn die Lampe leuchtet, heißt das, Deckung suchen und vorsichtig sein. Viele ignorieren den Hinweis, weil sie vielleicht nur "noch schnell" einen Schuss abgeben möchten, aber das kann, je nach Panzer und Situation, oft schon das letzte sein, was sie machen. Daher lieber gleich in Deckung fahren und die Situation neu überdenken, als drauf zu hoffen, es wird schon nichts passieren! Am PC-WoT musste man diese Option erst langwierig freispielen, in Blitz bekommen sie alle geschenkt, also nutzt sie auch! Eine trainierte Crew ist Gold wert! Man mag es anfangs als Neuling unterschätzen, aber sobald man mal einen Elitepanzer mit bester Ausrüstung und 100%-Mannschaft hat, sieht man den Unterschied zu vorher. Ladezeiten, Zielgenauigkeit, Fahrgeschwindigkeit - fast jede Kleinigkeit hängt auch von der Ausbildung der Crew ab. In den Tiers 1-4 gewinnt diese sehr schnell an Erfahrung, so dass man dort i.d.R. auf die kostenpflichtige Zusatzausbildung für Credits oder Gold verzichten kann. Ab T5+ wird es aber kritisch, weil die Nachteile doch gewaltig sind, v.a. dann, wenn der Panzer selbst auch noch nicht voll ausgebaut ist. Dort würde ich dann auf jeden Fall immer mindestens die Ausbildung für Credits wählen, um wenigstens mit 75% starten zu können! Wenn ihr die Credits habt, und die Panzer noch länger fahren wollt, rüstet sie mit den (passenden) Einweg-Modulen aus! Diese Nachrüstmodule geben dem Panzer zusätzliche (kleine) Boni, die auf jeden Fall das Geld wert sind, wenn man das Gefährt länger in der Garage stehen haben möchte (und natürlich auch ausfahren!). Meines Erachtens die wichtigsten davon sind Lüftung (+5% auf alle Besatzungsfähigkeiten), Ansetzer (-10% Ladezeit), Waffenrichtantrieb (10% schnellere Zielerfassung), Vert. Stabilisator (20% kleinerer Zielkreis in Bewegung) sowie die Werkzeugkiste (25% schnellere Reparaturen). Auch interessant v.a. im Tierbereich 1-5 finde ich den Splitterschutz, da dort viele Fahrzeuge mit Haubitzen und Hochexplosiv-Munition unterwegs sind, und man so wenigstens etwas Schaden abfangen kann. Weniger sinnvoll in meinen Augen sind Optiken, Scherenfernrohr oder Tarnnetz, da die Karten eh viel zu klein sind, um diese richtig ausnutzen zu können. Dazu sieht man sowieso relativ schnell den Gegner, auch ohne teure Module. So ab Tier 2/3 macht es dringend Sinn, die paar "Kröten" für das Verbrauchsmaterial auszugeben! Dieses ist im Gegensatz zu den Modulen nur einmal verwendbar und wird nach Gebrauch wie Munition kostenpflichtig wieder aufgefüllt. Bewährt haben sich in meinen Augen auf jeden Fall der Erste-Hilfe-Kasten, welcher verwundete Crewmitglieder heilt, sowie die Ersatzteilkiste, durch die sich beschädigte Teile des Panzer reparieren lassen. Wer mal ohne Kommandant oder mit beschädigtem Munitionslager unterwegs war, wird wissen, wie unpraktisch das sein kann! Der dritte Slot ist dann vakant, den kann man je nach Bedarf ausfüllen. Bei mir ist dort i.d.R. der Feuerlöscher drin, damit mein Panzerchen beim Treffer in den Tank oder Motor nicht einfach abfackelt. Muss aber schlussendlich jeder selbst wissen, wie oft ihm das passiert, und ob man da etwas dagegen unternehmen sollte. Einige Panzer sind halt sehr anfällig für Motorbrände, bei denen wäre es schon wichtig, schnell reagieren zu können. 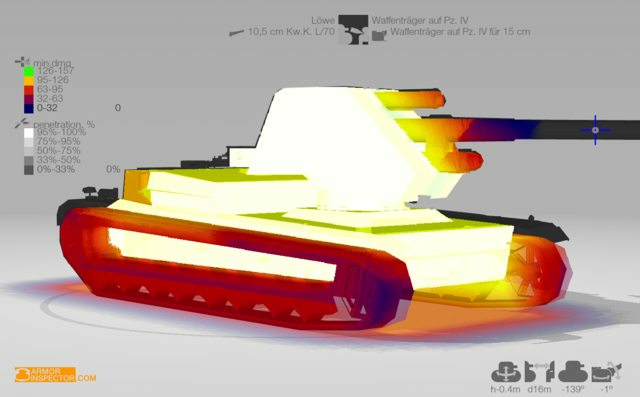 In WoT Blitz wie auch in WoT werden Panzer in Gefechte mit +/-2 Stufen gesteckt (ab Tier 3, bis dahin nur +/-1). 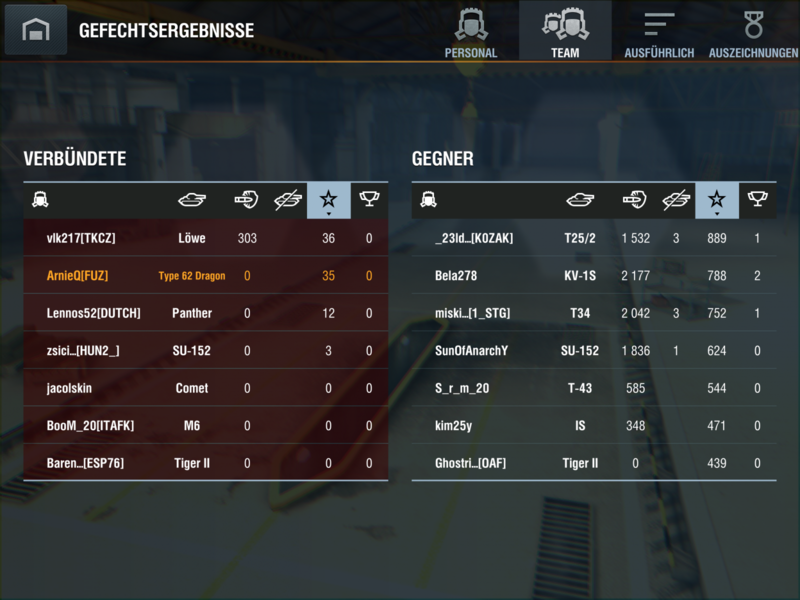 Wenn man jetzt im Zug mit einem anderen unterwegs ist, wird jedoch die Zuteilung zum Gefecht nach der Stufe des HÖCHSTEN Zugteilnehmers bestimmt, d.h. man kann bei einer Kombination aus M3 Lee (Tier 4) + KV-1S (Tier 6) in einem Gefecht mit Tier 8 landen, was dem Team und v.a. auch dem armen M3 Lee sicher keinen Spaß machen dürfte! Daher empfehle ich DRINGEND: wenn ihr Züge bildet, nehmt IMMER Fahrzeuge der gleichen Stufe!!!! In WoT-Blitz gibt es aktuell vier Arten von Panzern, leichte, mittlere und schwere Tanks, sowie Panzerjäger. Jede dieser Kategorien hat ihre eigenen Stärken und Schwächen, wobei mitunter Übergänge auch fließend sind, man also Panzer schwer zuordnen kann. Eine Eierlegende-Wollmilchsau dürfte man aber eher selten finden, zu jedem Panzer und jeder Klasse gibt es Taktiken, wie man sie mit anderen bekämpft. Dies ist allerdings mal mehr, mal weniger schwierig, aber eigentlich immer machbar, wenn man weiß, wie! Diese sind i.d.R. sehr mobil und wendig, allerdings auch schwach gepanzert. Oft haben sie nur eine schwache Bewaffnung, der vor allem die Durchschlagskraft fehlt. Ihre Aufgabe ist die Aufklärung, wobei dieser in Blitz aufgrund der kleinen Karten eher eine untergeordnete Rolle zukommt. 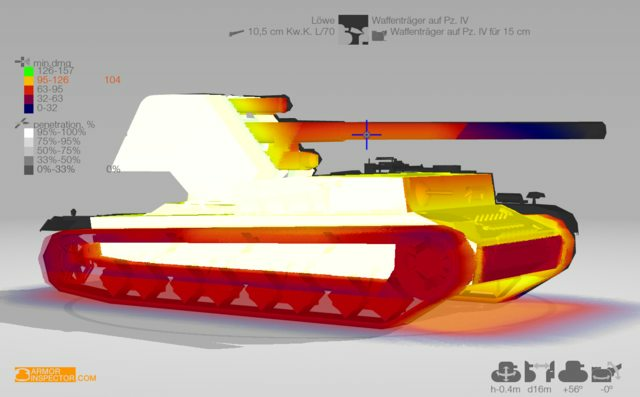 Da wir aktuell die sogenannten "Lights" nur bis Tier-Stufe 4 (A-20) im Game haben, können diese Panzer durchaus statt der reinen Scout-Aufgabe auch wie schnelle Mediums gefahren werden, d.h. den Speed ausnutzen und die Gegner umfahren, damit man in die schwächer gepanzerte Seite oder den Rücken schießen kann. Frontalangriffe auf mittlere oder schwere Panzer der Stufen 4+ sollte man mit einem leichten Panzer tunlichst vermeiden, das überlebt man so gut wie nie! Beispiele für leichte Panzer sind die sovjetischen BT-2 und BT-7, oder die deutschen PzII und der Premium-Panzer T-15. Die Medium-Tanks sind in Blitz sowas wie die Allrounder, richtig schlecht sind sie eigentlich nirgends. Ihre Hauptaufgabe auf dem Schlachtfeld ist die Unterstützung der schweren Panzer über die Flanken. Dazu hilft ihnen ihre oft hohe Mobilität und Geschwindigkeit, wie auch die guten Kanonen. Ein mittlerer Panzer ist meist besser gepanzert als ein Leichter, allerdings eben selten so gut wie ein Heavy. Mit einem Medium sollte man flexibel bleiben, die Map im Auge behalten, wo Support gebraucht wird, und versuchen, dort dem Gegner in die Seite zu fallen. Auch wenn man selbst vielleicht mal Toptier ist, und beim Gegner ein gleichstufiger Heavy steht, würde ich persönlich keinen frontalen Angriff auf diesen Wagen, sondern immer die Stärke des eigenen Fahrzeugs, in dem Fall die Mobilität, einsetzen. Am meisten Wirkung erzielt ein Medium im Team mit anderen mittleren Panzern. Bleibt man zusammen, kann man so sogar deutlich stärkere (einzelne) Gegner leicht knacken. Beispiele für Medium Tanks sind u.a. der M4 Sherman (US), der T-28 (UdSSR) sowie der deutsche Premium-Panzer T-25. Der amerikanische M3 Lee ist ein Sonderfall, da er keinen drehbaren Turm besitzt und damit eher die Spielmerkmale eines Panzerjägers aufweist. Allerdings kann man diesen trotzdem mit etwas Übung wie einen Medium fahren, denn seine Bewaffnung ist für Flankierungsoperationen dank guten Durchschlag und Schaden sehr gut geeignet. Heavy Tanks stellen in WoT-Blitz sowas wie die Hauptangriffs- und v.a. Durchbruchsfahrzeuge dar. Sie sind i.d.R. schwer gepanzert und haben starke Kanonen für den frontalen Angriff. Durch ihre mangelnde Mobilität sind sie jedoch auch sehr angreifbar, v.a. durch flankierende mittlere Panzer. Ein Heavy alleine ist daher oft Fischfutter, wenn keine Unterstützung durch Mediums und/oder Panzerjäger vorhanden ist. Schwere Panzer sind meistens langsam, d.h. man sollte sich gut überlegen, ob man unbedingt dem flüchtenden Light nachjagen möchte, oder doch besser zum Schutz der Basis verbleibt. Der Heavy kann gut einstecken, hat einen relativ hohen HP-Pool, und gibt für Leichte und Mediums auch eine passable Deckung ab, hinter der sie nach dem Schießen Schutz finden können. Heavies sollten im Zentrum des Gefechts zu finden sein, und eher nicht den Scharfschützen am Kartenrand spielen. Zum einen sind die Kanonen oft nicht zielgenau genug für solche Zwecke, und zum anderen werden schwächere Panzer ohne den Schutz der schweren sehr schnell aufgerieben, so dass man mit einer extrem defensiven Heavy-Taktik am Schluss u.U. alleine da steht. Noch hinter dem TD zu campen, geht absolut gar nicht! Beispiele für schwere Tanks im Spiel sind der deutsche Tiger I, der russische KV-1 sowie der amerikanische M6. Tank Destroyer sind meist fahrende Waffenplattformen, die mehr oder weniger mobil sind (gibt flinke wie bspw. den T18, aber auch sehr lahme wie den T28), jedoch ein enormes Schadenspotential mit sich rumschleppen. Oft haben sie frontal sehr gute Panzerung, an den Seiten und hinten jedoch nur wenig. Die meisten derzeit in WoT-Blitz implementierten Panzerjäger haben KEINEN drehbaren Turm, d.h. man muss beim Spielen immer das ganze Fahrzeug Richtung Gegner drehen, was dazu führt, dass man möglicherweise dadurch seine schwache Flanke anderen Gegnern präsentiert. Man sollte daher sehr gut überlegen, wo man sich positioniert. TDs können die meisten gleichstufigen Gegner oft mit wenigen Treffern ausschalten, und selbst höhere Tiers haben manchmal wenig zu lachen. Allerdings besitzt so ein Monstrum oft recht wenig Hitpoints, was bedeutet, er ist selbst leichtes Ziel, sollte man ihn entdecken und beschießen können. Es empfiehlt sich daher, regelmäßig Stellungswechsel in Betracht zu ziehen, um nicht zu schnell das Zeitliche zu segnen. Als TD-Fahrer braucht man eine Menge Geduld. Direkte Frontalangriffe bspw. gegen schwere Panzer sollte man v.a. mit den unteren TD-Tiers eher meiden bzw. außerhalb deren Sicht bleiben. Durch die geringe Größe der Karten, und dem schnellen Spielprinzip bei Blitz, halte ich die Klasse der Panzerjäger für die am schwersten zu spielende für Anfänger! Deren Vorteil aus dem PC-WoT, die guten Tarnwerte, hat man hier quasi nicht, so dass es sehr viel Übung erfordert, in Bewegung zu bleiben und die richtigen Punkte zur richtigen Zeit anzusteuern. Weitere Beispiele für TDs sind der amerikanische T82, das deutsche StuGIII sowie die russische SU-85. hello guys and gals ! This guide is meant to be the most comprehensive guide on HE (high explosive). By the end of the textwall you will know as much as I do. As I am still learning, I will refine over time, so anything you don't find or don't understand, please ask in the comments and I will reply or add the information to the guide. My other guides are there. This article is a mirror of one I wrote in the EU forums. some pictures from armor inspector are outdated, and paragraph on aiming is currently missing some illustration. some day I will update. HE is a big ball of explosive. Throw it onto someone. The bigger the ball, the bigger the boom. Simple concept. in the game, HE has the potential for more damage than regular shells, but with very low penetration numbers it is difficult to use properly. HESH ammunition is available in some of the upper tier tanks British guns. HESH is a version of HE and uses exactly the same mechanics as HE. therefore anything I will say about HE will also be true for HESH. While most tanks have prammo with better penetration than regular ammo but same damage, HESH has comparable penetration to regular AP, but higher damage. in real life, how HESH works is an interesting display of British engineering creativity : It basically spreads the sticky explosive upon target before igniting the explosion, which creates an internal shockwave inside the thickness of the armor, which blows itself into shrapnel. High Explosive, with refinements. see wikipedia if you like more details. Most new player will try HE for the advertised extra 25% in alpha damage over the regular ammunition. After a few games they realize they usually get only 10% of the value and give up forever. this is also wrong, HE might be tricky to use, but it is a brilliant ammo when used properly, as we will see later. they bounce and make no damage. They may also go through a breakable object, such a fence, break though it and continue until they lose their penetration power. upon a tank impact, the server will decide between bounce and penetration, and so on. after a bounce, they continue their new trajectory and upon another tank impact, the server will decide again between bounce and penetration until they get lost in an objects or exit the map. finally, AP and APCR pen numbers are ideal at the gun muzzle, but as they lose velocity during the flight, they are subject to loss of pen over distance. AP are given a specific average damage upon penetration that we name "alpha", for exemple alpha is 100hp. if you bounce, you do 0hp damage. Most player got used to these mechanics, either by research or experience. However, high explosives work in an entirely different way and that's how it may deceive you. Upon any impact, High Explosive shells detonate into an explosion. HE shells don't rely on velocity, therefore they don't lose penetration or damage power over the distance to target. upon detonation, the explosion will impact any object within a radius. We can see why the shell will never go through any object, but it will never bounce either. if the penetration power is more than the armor, the explosion will penetrate. The shell will not penetrate. only the explosion will, because the shell already exploded. The explosion can hit an object nearby. It will have effect even to a certain distance of the impact (splash damage), and is considered just as the above : the explosion occurs outside, the damage is function of the distance and may go through the armor. if the armor is still stronger than the blow of the explosion, it will absorb the potential damage and no damage will be made. this is much more than regular AP. this is much less than regular AP penetration, but more than AP bouncing. when your shot lands somewhere but fails to penetrate, either armor is too thick or it hits some map elements, an explosion ball is created. Damage will occur to all elements in that radius, possibly several at once. modules that are located outside of the main armor (tracks, viewport, gun) will have no protection from the damage. this is interesting to use, especially for tracks. splash damage means that the damage is not at the point of impact. upon impact, when there is no penetration, anything within the radius is affected. that radius is function of your caliber. the bigger the gun, the bigger the boom, the wider the radius. Splash damage will be function of the distance to impact, further away means receiving less damage. note that you don't even need to hit your target to make damage : you can hit the ground and damage two tanks passing nearby, if they are within the radius. this is very interesting to use. Interestingly enough, with some very large guns, for example above 120mm, you can easily splash damage yourself up to killing yourself by shooting at a nearby wall or enemy, either purposedly or by mistake. I have seen it occur in battle on couple occasions, a good way to earn a "lucky" medal. Damage is also reduced as a function of armor thickness. Note that splash damage is not directional, so only the armor nominal thickness is used, (i.e. the advertised thickness of the metal plate in the tank specs), which is measured at a perpendicular angle from the surface. Often splash damage will be very small compared to the damage AP shell would do. When the armor is too thick, you might even make no damage at all. You will probably hear "that one bounced" which in fact is irrelevant : your shot hit but didn't bounce, it just failed to make damage. Some modules are external, like guns, tracks, viewports, therefore they can receive some damage or even be destroyed (tracks especially) while you will make zero damage to the general HP, because of the armor. Then you will hear some congrats from your crew when seemingly no damage was done. however you might decide keeping enemy from moving is more interesting that doing damage, besides, it will give you half of the XP is an ally is shooting him. that is interesting if the ally has a bigger gun than yours. how can a HE shell make damage to the tanks, crew and internal modules without penetrating ? This is called spall : the armor may not break, but shatter and spray metal shards inside the tank onto crew and modules, causing shockwave, concussion, making damage or breaking them. nice. damage fall with armor thickness and distance. Thickness is obvious, but in some cases distance is not. some tanks have several layers of armor, known as spaced armor and exploding in the outer layer will keep your shell too far from the main armor. tracks are an obvious one and act as space armor. the explosive will detonate upon touching the outside of the tracks, and the armor is at a distance behind them. make you believe that you hit something, whereas you haven't. it just goes through. hide some specific weakpoints where you should aim. first of all the damage is done not along the trajectory, but to anything in the radius of the point of impact, and in the cone of a penetration. this includes more volume and therefore more modules to damage. secondly it doesn't bounce, and may damage even when there is no penetration when modules are close to the impact. finally, in case the shot hits directly the module, (either a penetration or hitting one of the external modules) HE will make 25% more damage to a module than if it were an AP shell, leading to higher chances of a module or crew failure whereas an AP would just make some damage. I will make a complete guide on how module damage works, but let's take the quick example of a track. This track is allowed, say, 120hp total. upon a hit, AP damage would be 100, leaving the track damaged but still functional. It needs two hits to destroy one track. however HE damage to modules would be 125, which would destroy the track in one shot. Penetration is the graal of any good HE user, and is highly rewarding. Penetration is the only way to get the full advertised damage , 25% more than alpha from the regular AP/APCR. as we have seen, the shell detonates upon impact and the shell will in fact never penetrate per se. but the blow of the explosion can. It will then create a cone from the point of explosion towards the inside, and anything within this cone will receive damage according to distance from the impact. penetration and module damage, crew injury. This means that not only you will make more HP damage than a regular AP shell, but also the cone will most likely reach several crew members and modules, which will take fire and create further damage, and leave the tank crippled. Driver dead, loader or aimer dead, gas tank on fire, ammoracks are very common. Crippled tanks will be less harmful, and easy prey for even further damage from your allies or yourself. many tanks, once receiving HE from a big caliber will lose up to more of their XP in one shot, from the damage and its aftermath including the resulting fires, injuries and other hits they will receive following the first impact. very careful and accurate aiming. penetration and angle of impact. we have seen earlier that splash damage is not directional, only the armor nominal thickness matters. However penetration takes the angle of impact into account: the cone of explosion will travel according to the trajectory most likely at an angle with the armor surface, which makes the effective thickness of armor that the explosion needs to go through in reality potentially much thicker than going through at a perpendicular angle. of course thin armor are susceptibles to big HE damage, such as any light tanks, and some light TDs. but many mediums or even heavy tanks have very thin armor in the sides and rear. knowing the easy tanks, and knowing the secret spots of the more heavier tanks will help you prepare ahead. knowing wher to shot on your target will allow you to use HE to full penetration. it will allow you to anticipate and load HE. Rather than doing splash damage at the wrong angle, driving to arrive onto your opponent's weak side or waiting the right moment until your enemy turns at the correct angle may mean penetration and ten times more damage than splash. you will try to be perpendicular to the surface of the armor plate that you are trying to pen. A few degrees might change the result entirely. Usually HE shells are much slower to fly than the regular AP, so shooting at an enemy over long distance may require some practice to anticipate the enemy's movements, and in all cases more accurate aiming than regular AP, as the weack spots are much smaller. the model used by your client to render the view is different from the model used by the server to calculate the mechanics of the game. it is known as collision model, and is implified compared to the rendering model. As in most games, models are built with triangles. there is no curved surfaces, only faceted triangles.Large flat surfaces might not cause problems much, but with complex surfacing, results can be more random as you cannot make sure of the angle of impact. HE, HESH or even HEAT do not rely on velocity for penetration power. this means that some of them can be very slow, and therefore they will have a very high and curved trajectory. Only a few tanks have such extremely slow shels, and the best example of this is the T-82 with the 105mm howitzer. whenever you shoot, it makes a tall bell curved trajectory, and fall upon the target, almost like artillery. You can sometimes count to 3 before it reaches target... which will often move in the meantime... so in the case of slow shells you need to predict and anticipate the enemy. It sounds like you could use the curved trajectory to shoot at someone behind hard cover, for example a rock, by lobbing over the obstacle and on target. Unfortunately in most cases, the server will think you are aiming at the rock, will adjust the trajectory to shoot the rock, and it will hit the rock... with some RNG factor. In the 1/10.000.000 lucky shot, you may aim at a map point above and behind target, which will make a curve above everything, and if RNG will decides to make the shot fall short of your aim, which may reach target. it is rumored to have happened. not in a million games in my knowledge. Don't count on it. however there is one and only way of successfully managing such a shot. That is to use right click on a PC mouse. this will use the PC-type autoaim, which will register and follow the enemy tank, not the rock in front, and therefore will shoot correctly. however this will not precede enemy movements, and need a perfectly still target. Unfortunately all other aiming will fail. don't confuse this shot over an obstacle with the damage that can be done through an obstacle, including hard terrain, by using the splash damage radius. I will take an exemple which will show several aspects mentioned before, it should help you identify these points I talked about. shooter will be a KV1s 122mm because the 122mm will have big explosive and penetration power. the alpha is 400 (300hp-500hp). HE will do 500 (0hp-625hp). (note, because I didn't have a KV1-S, I used a defender in the game screenshots which has a related 122mm gun with exact same HE specs). 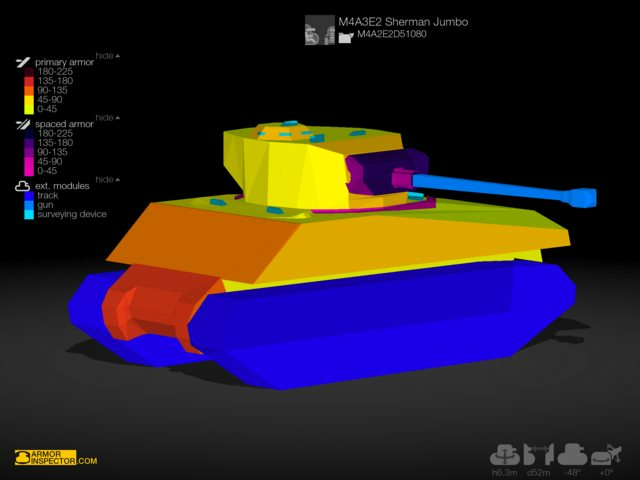 target is a M4A3E2 jumbo because it is based on a medium M4A3E8 with very thin armored that is in some places upgraded, so it will display a variety of armor thicknesses. notice that there are some fully penable transparent zones. Two obvious are : the side of the turret, and the tracks area. Less obvious are: a small strip on the engine deck and small entrance in the drivers hatch. There are even less visible spots, in the viewports for exemple. other transparent zones are the piece to lock the gun forward, on the front, and other tools and gears all around. the small zones will be impossible to aim at in real situation, but occasionally you will make huge damage without aiming... Lucky shots. for best results you should go around your target while it is busy, and arrive at the correct angle to shoot (usually in the rear or full 90º to the side), which is not the case here. The tracks and side skirts show full penetration, but just as the small tools, even if the explosion wil penetrate them, it doesn't tell you what kind of armor is behind. In many tanks there are empty boxes or decorations which can be fully penetrated but that will return zero damage, because they cover a very strong points. That is where you need to learn exactly where are the weakspots, at least for the tanks that you see the most, because the hitskin of the game might often troll you. the turret cheek : this for sure is the real armor and therefore in this situation is the only place where you can reliably aim. in some near future, Andrew Karpushin plans to implement the same hitskin as in blitz as a third option for comparison purposes. 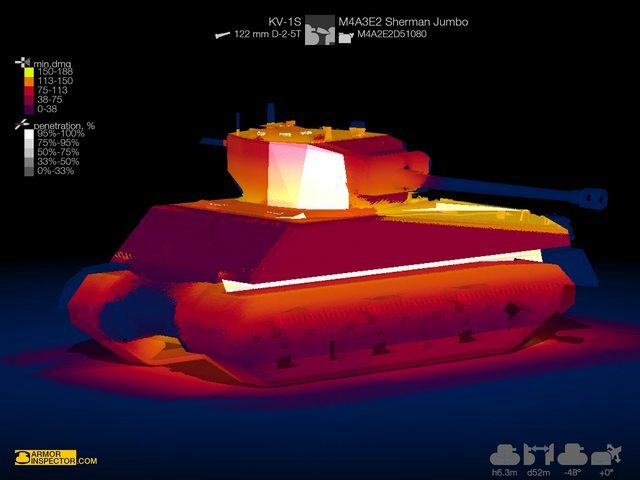 this is the M4A3E2 as viewed in the X-Ray mode. it shows the model used by the server to calculate hits and penetrations. it is called a collision model. Armor Inspector illustrates the thicknesses of the plates with color. You can show and remove modules and plates individually to see what is hiding behind. You will notice how different this is from the model you see in your client during the game. It is simplified, many features are absent such as tools and gears hanging, but also some armor features. notice for exemple what is happening at the tracks pits : first of all the side skirts or mud guard panels have no existence from an armour standpoint. The shells going between the tracks and the hull will go all the way to the flank, which as you can see are the weakest place. Note the large triangles of the armor model, like those on the turret. more complex tank shapes will have a complex mosaic that may give your shots trollish results. you can see the upper front plate is thiner than the lower front plate, and that the engine deck and the track pits are the thinnest. When you go in the confrontation mode, you will see the same collision model as earlier. a gradient of color will show the minimum guaranteed damage. It means that shooting a point of a particular color, will reward you with you the damage or more. Dark blue is 0hp and bright green is maximum damage (375-625hp). color smears everywhere because damage is splashing all around according to distance from the impact. a gradient of luminosity will show you the chances of penetration using transparency to white. White will mean a guaranteed penetration and therefore full alpha damage (375hp-625hp). in effect, if a spot showing very light yellow is hit, the penetration chances will correspond to the luminosity, so high, and if it fails to penetrate, it will still make at least the splash damage that is shown by the yellow color underneath the white. Notice the color on the ground, hitting the ground will make damage upwards, into the under belly. it will also damage the tracks, etc... the further from the tank, the less damage is made. Notice on the turret the white penetrations zones, and just a slight angle change will allow the pen or deny it. Notice the splash damage color showing below the white luminosity probability of penetration. Notice the base of the turret color shows more damage than the top of the turret, this is because the explosion will be located on the turret, but the damage will be dealt onto the top of the hull below the turret..
Notice the ridiculously thin armor in the tracks pits. HE will pen fully as shown by the very strong white. However if you aim there and hit the tracks instead, damage will be only splash. You can also see when hitting the tracks, the closer to the tracks pits, the higher the splash damage. Notice on the front plate that blue zone is where the thickest armor plate is, and no penetration or splash damage is expected. However the closer you get to the tracks pits, the bigger splash damage, even though you still hit an invincible armor thickness. Notice the viewports on the cupola, which expectedly have zero armor, but are unlikely to be hit with this distance/accuracy. So, if you can only shoot at an invincible armor, try shooting as close to a weakness as possible and you will still have splash damage. this case was taken from this real user complaint. when we shoot the same tank on the same gun barrel, the gun is hit and might be damaged or broken(32% chances), but it doesn't carry any tank hitbox HP. So the tank will not lose any hp because of the gun hit, but because some weak enough parts of the armor are close enough to the impact. gun is above the tank engine deck, which will actually gather the damage, depending on distance to impact. look at the significant damage drop as soon as the engine deck ends. no hp loss, although the gun itself asa module might be damaged or broken. Spall liner advertises 25% reduction of the damage done by explosions. When I was a noob, I always bought this one first. In fact it is increasing your armor ability to reduce damage by 25%. Since people rarely shoot HE, and only use them HE against very thin armor with very small to no ability to reduce the damage, 25% of very small numbers will never give you any advantage. spall liner is made to protect heavily armored tanks against arty in the PC game, it was carried over to blitz, and I guess, since many noobs like I did probably buy it every time they can, the developers will see no rush for the removal of such a successful and desired item. the provision protective kits, equipment reinforced suspensions, engine durability, wet ammorack, etc.. They claim to add 10-25% durability or protection to the respective modules. But how do they work ? Thy in fact add 10-25% more ho to the dedicated module hp. Which means, that, where usually one shot was enough to blow a track, or an ammorack, now two shots will be necessary. This is obviously a preventive measure, more effective than repairs, though probably not replacing repairs. For example, As soon as your ammorack is damaged you should repair it, because one more hit means game over. Meanwhile carrying only repairs could have meant a direct ammorack without warning. Depending on tanks, you might decide which is the most suited. i rarely carry less than 5 shells. In some special derp guns, like T82 or KV2, SU, etc... I usually carry as much as half of the shells in HE and half in premium ammo. Regular AP would either have bad damage or bad pen, so I carry no AP at all in such tanks. i described above enjoy dreadful an HE penetration can be. The bigger the caliber, the lighter the enemy, the more opportunities. I often do around 1000 damage, sometimes multiple times in a single battle. that is before fire occurs. Practically, In battle you really need to know before hand exactly where are each available HE sweet spot and angle for each ennemy tank, according to the gun you are carrying. Any external module will be easily damaged for two reasons : they can be themselves the point of impact. Damage done to them will be 25% more than if you had shot with AP. This is why most tracks will be damaged by AP, and will need two impacts, but will be destroyed by a single HE shell. Damaging tracks is especially usefull because the enemy cannot use his mobility anymore, but also because he becomes an easy target for more damage. Finally, any of this damage done upon your tracking will award 50% more XP to you. This is usefull when grinding or in the search of ace medals. another good use is to blow your enemy's gun. Look at him play with a broken gun. Enjoyable every time. in the normal battles, (encounter, not supremacy mode) any damage will reset base, even a damaged track (not broken) without hp loss. Just make sure you don't aim where the armor is thickest, red indicator in the sniperview, or it might defeat your splash damage. - make enemy move out of protection. as mentioned, the explosion will damage anything in a radius. An enemy with say, 40hp hiding behind the corner of a house can be killed by the splash damage, either by shooting the ground or by shooting at the house itself, as long as you hit something close to him enough, with a shell big enough, and that his armor is thin enough. there used to be a bombardier medal for killing two ennemies of with one shell. That medal is gone but doing so is still possible. When both ennemies are close to each other and their hitpoints will be low enough to be killed by splash damage, shooting in a place that can splash both will do damage to both. If their ho are low enough, they will die. Both. Or at least you can track them both but that's less fun. if your hp is low enough and your gun big enough (typically above 150mm), shooting a wall or an enemy too close will deal damage to yourself. if you have too much HP, it will break your gun before killing yourself, but you can repeat the operation. In the old time this could award a lucky medal to a nearby enemy watching the scene. In recent times, it is still a good laugh. if you become very proficient at using HE shells, you will see that they are highly rewarded. Tracks means damage done by others is awarded partially to you. Penetration will creat more damage per shot. All this will be awarded credits. In return, HE shells are (usually ) much, much cheaper than What regular shells are. Not even mentioning the cost of premium ammo. More reward for less cost ? Yes, that can help you make some credit. of course there are many more uses of HE. Please add yours, even totally trollish or funny, in the comments below. Congratulations ! you are done with the reading ! If you liked it don't be shy, if you have questions just ask them, I will answer below and possibly improve the guide. My other guides can be found there. #669353 Blitz Fair is Back! - a tsunami of boosters USELESS! - making people lose their money for nothing.